When you work in content marketing, every day brings with it a host of new challenges — none so great as the struggle to innovate. It takes a lot of effort to earn the savvy consumer’s attention these days. Your content must be good enough to woo them, yes, but it must also be good enough to woo them away from your competition. Over the years content marketers have found the inspiration for this task in some unlikely places, including at the corner of Hollywood and Vine — the center point of Hollywood film marketing. One look at the strange and wonderful subculture that is Hollywood entertainment reveals a glut of new ideas. The techniques may have been devised to promote television and film, but that doesn’t mean they can’t be applied to other content products as well. In fact, the trend of borrowing marketing concepts from Hollywood is growing so popular that Fast Company magazine recently launched a new site intended to “chronicle the pioneers who are meshing tech, culture, and commerce in new ways.” The “new creative map,” as the publication calls it, employs the tactics honed in Hollywood and applies them to Madison Avenue campaigns that play out on the web. This convergence of media has the power to produce marketing content that’s unique, effective, and memorable. Here are a few ways to make their strategies work for your brand. No, I’m not talking about augmented profile pictures and exaggerated status updates. This form of fiction manifests itself as a branded Facebook Page written from the point of view of a character. It might be a product mascot, or an actor featured in a commercial spot — you can use whatever your brand has at its disposal that might help consumers identify with your products. As long as the character is directly related to the company it was created to promote, the creative content possibilities are nearly endless. 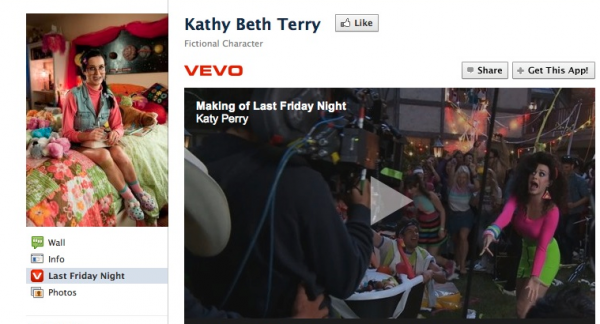 One example of this concept that’s been generating buzz is musical artist Katy Perry’s nerdy pre-teen alter ego, “Kathy Beth Terry,” and her personal Facebook Page. The character, portrayed by Perry herself, rose to fame when she was prominently featured in one of Perry’s music videos. Her subsequent multi-platform social media presence now rivals that of Katy Perry herself. 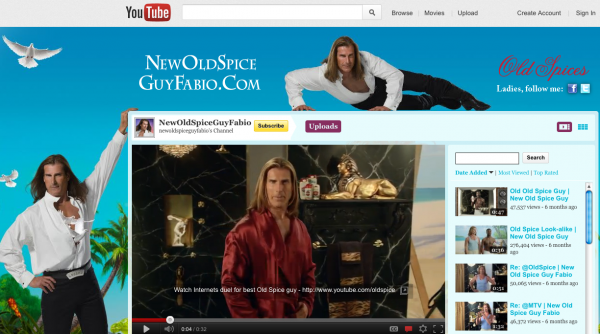 The launch of Old Spice’s “New Old Spice Guy” campaign — the sequel to the wildly successful “The Man Your Man Could Smell Like” YouTube videos that ran in 2010 — warranted a similar approach. In an effort to keep audiences engaged with the campaign, new spokesman Fabio was equipped with his own YouTube channel, Twitter feed, and Facebook Page. The idea with this approach is to create an additional avenue for generating product interest and, ultimately, sales. Instead of relying entirely on your Facebook brand page to get the word out about a new album, product, or special offer, you can enlist a branded character to do it for you. If the fictional character is positively perceived by consumers, it stands to help you build brand affinity. Entertainment companies are known for leaking teasers about upcoming blockbuster films. 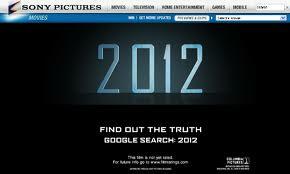 They might plaster billboards and city buses with an obscure call-to-action (as Sony Pictures did with “Find out the Truth: Search 2012” for its film “2012”), or establish a mysterious Twitter hashtag that consumers must decipher (as Warner Bros. did to coincide with the launch of the website for the upcoming “Batman” film, “The Dark Knight Rises). Teasers have proven to be a viable tactic for many brands, but none are so effective as those that drive consumers directly to the product site. For content marketing purposes, this strategy can include using the release date of a new product as the temporary URL for that product’s site, or ending email newsletters with a teaser about upcoming content. Brands might even pump enticing copy from a new contest into a Twitter feed. This is one of those rare cases in content marketing where ambiguity can actually work in your favor. Entertainment companies are known for making audiences want more. One way they do this is through the strategic release of content. For example, teaser trailers, behind the scenes footage, and other promotional content from a new film may be doled out to the masses little by little, leading up to the film’s release date. This unpredictable trickle approach can help build suspense and intrigue, driving audiences to pounce on every new bit of information with excited anticipation. While you may not have 120 minutes of action-packed video content loaded with stunts, pyrotechnics and celebrities at your fingertips, you probably have plenty of material that can appeal just as strongly to your target audience’s need for information and advice on your particular area of expertise. For example, the careful placement of an excerpt from your white paper — something that can stand on its own but doesn’t answer all the reader’s questions in one shot — on your Twitter feed can encourage potential customers to actively seek out more of your great advice. Likewise, a snippet of a product demo or third-party review posted to your brand’s Facebook Page can motivate fans to visit your e-commerce site to see the rest of the story. Another advantage of this is that brands can conserve ad space while still achieving the campaign goal of boosting site visits. Hollywood has given us plenty to ponder and enjoy. But to content marketers, none of it is more valuable than the lessons its advertising campaigns offer on extending a brand’s story into the social, virtual, and physical worlds. As Creative Director at Enlighten, David Rossiter helps lead a cross-functional team effort to conceive and deliver memorable, results-driven digital experiences. Rossiter's core areas of expertise include brand and market strategy, creative ideation, wordsmithing, digital advertising, mobile, and rich media creation.